Check this out! It is a very well done website promoting the iron heritage of three communities on the Susquehanna River. 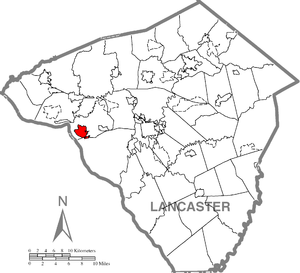 I lived in Lancaster and never realized that Columbia, Marietta and Wrightsville were former iron producing centers. Pottstown certainly has a long, rich heritage of iron and steel production going back to John Potts. If we are looking for things to capitalize on to make Pottstown a “destination” like Bethlehem is for Musikfest this would certainly be something to promote, would it not? Click on the link below to view the website. Under Features is the information on the iron furnaces but the site is a good example on how to capitalize on something! There has been talk about this project recently which prompted me to do some research. The Promenade project has been on the books for some time, however funding kept it from becoming a reality. PennDOT recently opened up their coffers and we are getting almost a million dollars to complete this project. I could not remember specifics on what the project entailed except that the name does infer certain things. Pottstown Promenade – was conceived as a pedestrian and bicycle link between Downtown Pottstown and the Montgomery County Community College. The promenade is expected to be constructed in 2005, and will connect Hanover Street to the bus stop facility adjacent to the community college with a link to Riverfront Park and the River Center at Pottstown. Personally, I think this is a great idea because it addresses quality of life issues in an urban area. Green space is important if we are trying to attract middle-class people to Pottstown as taxpaying permanent residents. The revitalization of Pottstown hinges on projects like these and the ability to attract new residents, business and industry. Kudos to Jason Bobst, Borough Council and everyone involved for making this project a reality. This project is a 4-H educational outreach program of Penn State’s College of Agricultural Sciences. The program was initiated by Dauphin County cooperative extension to address the specific needs of urban and inner-city youth. An interesting article appeared in yesterday’s Morning Call about PNC Field in Moosic, a Scranton suburb. The 22-year-old, 10,000 seat stadium is in need of repairs to its concrete and steel structure. PNC Field is the home of the Scranton/Wilkes-Barre Yankees, a Triple A farm team for MLB’s New York Yankees. So along comes Fast Eddie offering a $20,000,000.00 grant to help repair the aging stadium. This would be the largest grant ever given during the Rendell administration’s tenure. The money would come from the state’s Redevelopment Assistance Capital Program. It seems officials would like to see PNC Field become more like Coca Cola Park in Allentown, which is more family-friendly. Now the catch is, there must be matching funding for the project. As of Monday, there was no definite answer where the other half of the money would come from. The entire project is being kept a secret for some reason. Rendell’s office is not commenting on what exactly the money will be used for. At this juncture, one can only speculate what the project will entail. The Rendell administration is braying about the economic impact of fixing the stadium. That is all well and good but why all the secrecy? The Yankees are making no comments either. It is time for new leadership in this state who believe in transparency! Developer David Mermelstein owns the site of the former Stanley Flagg company. David would like to develop 29 acres in POTTSTOWN BOROUGH into a green energy business. If you read today’s Our View in the Mercury it goes into detail about the business Mr. Mermelstein would like to create in Pottstown. If you read my post about the Logan Triangle area of Philadelphia, that site is 35 acres. The City of York is developing a massive brownfield site which is also 29 acres. You can read about that on here as well. This Stanley Flagg proposal represents a HUGE investment and should be taken very seriously! Pottstown’s Keystone Opportunity Zone has been created for a while now and as far as I know only one business is located there?? The Flagg site is industrial and not close to a lot of residential areas. David appears willing to make many concessions to ensure this plant will not negatively impact the quality of life here in Pottstown. This would create jobs and generate revenue for Pottstown Borough. Mr. Mermelstein said the reception he received was “positive, but not glowing.” Let us hope this proposal is seriously considered. If other investors see Pottstown as easy to work with, more investment will be forthcoming into the borough instead of all around it ala Upland Square and Commerce Corner for starters. This is a golden opportunity to start the ball rolling. Let’s remove the stone wall as depicted in today’s Mercury cartoon so the development train doesn’t once again skirt Pottstown for a more business-friendly suburb. I would like to say three cheers to Tom Carroll for his comments in today’s Mercury. Tom hit the nail on the head folks. The petty squabbling has GOT TO STOP. If Pottstown expects to get grants and aid from state and federal agencies there must be a common vision that is supported by the majority of leaders in this community. Until that time comes, we ain’t gettin’ squat! Nobody is going to throw money at a community that can’t agree on anything and constantly fights among itself. The cartoon was also SPOT ON today. If Pottstown can’t embrace change and think outside the box, investors will go elsewhere. More border development. If we can’t work and play well with others, nobody is going to bother with Pottstown. Unfortunately, Pottstown has a reputation as being difficult to deal with and not business friendly. If I have heard that, you bet prospective investors have heard that as well. I am not pointing fingers at anyone or any group. I am simply saying things need to change before we can move forward. I think that is obvious.